Mostly everyone is familiar with online job boards. Some of the most popular ones include LinkedIn, Indeed, and Monster. What's great about these websites is that they're easy to use in tandem with each other. If you see a new position listed on Monster, for example, then you can search for the profile of the individual you could potentially be interviewing with and connect with them on LinkedIn. However, solely relying on this method has some caveats. In a recent study, we found that only 30% of jobs were found online. There are multiple reasons for this that are unique to the tech market. 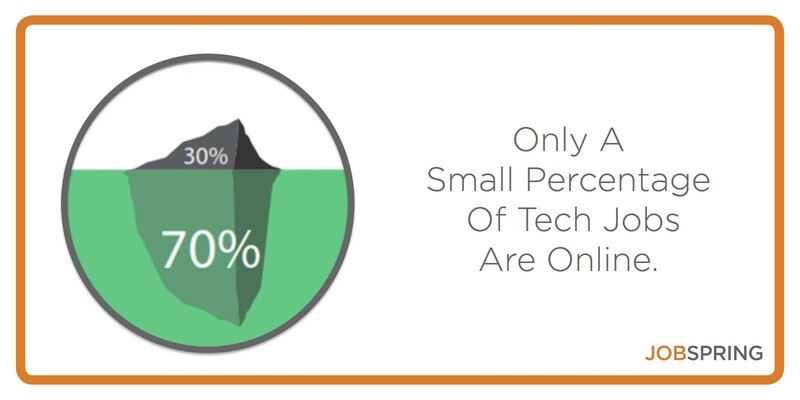 For example, tech startups tend to have little or no HR support or process. Additionally, these high-demand roles are opened and closed so quickly that the job posting never makes it online. When it comes to large companies replacing or refilling a position of high importance like a CTO, the company may not want to publicize the employee leaving, and instead, does a confidential search. So while the web is a fantastic place to start, if you are serious about your search you will have to expand beyond the internet. Did you know our website is updated daily with the newest tech jobs? Check them out now! When asking for an informational interview, it is key to use your network’s network. You want to ask your friends, family, mentors, managers, or coworkers if they know anyone that would be an expert. Informational interviews are a fantastic way to get information on the responsibilities of a specific role or learn more about a specific company. By asking questions about the culture or work-life balance of a company, you can accurately gauge if this is the right step in your career. Networking events can be a great place to connect with all sorts of people. 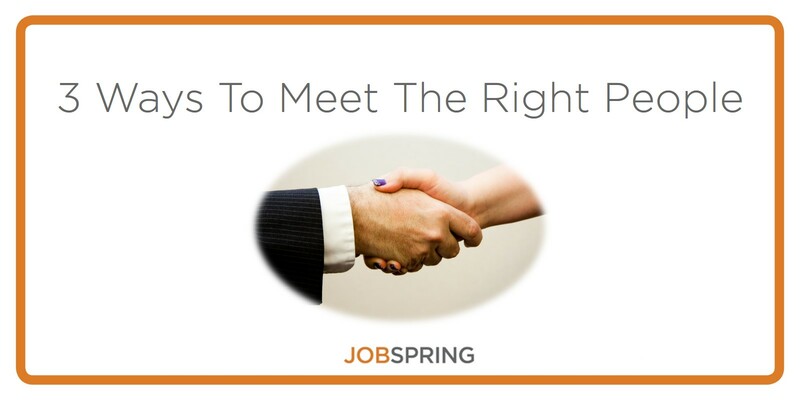 At any given gathering, there are bound to be a mix of people either hiring or looking for work. It’s a huge advantage to ask people about past events they’ve attended or companies they’ve worked at. Professional networkers know that when you meet someone, you don’t just meet them, you meet everyone they know! Did you know that we host free Networking Events every month in 11 different cities? View our calendar here! It’s not an easy process finding the perfect fit. You want to find a true culture-match with a candidate or company who shares the same passions. Be sure to utilize every resource or tool you have available at your disposal. At Jobspring Partners, we work with some of the largest tech companies in the world and the most talented local developers and engineers. Reach out, and we’d be happy to help you!